With general election voting less than three weeks away, outside events have more influence. That includes big endorsements from current and past presidents — and it includes October surprises like the one unfolding in the U.S. Senate. The outside influences are seeping into the Texas general elections. Donald Trump has said he’s planning a trip to “the biggest stadium in Texas we can find” on Ted Cruz’s behalf. Barack Obama has endorsed nine more Texas congressional and legislative candidates, after earlier endorsing two for Congress. And then there’s Brett Kavanaugh’s nomination for the U.S. Supreme Court, a political dustup in the final weeks before the election that seems sure to drive either Republicans or Democrats — or both — to the polls. Early voting starts in less than three weeks. Candidates are stepping on the gas, throwing up TV commercials and billboards and yard signs, taking care of all of the end-of-election details that will spin into wins or losses on Nov. 6. Big endorsements and October surprises are part of that drill. The endorsements are controllable. Each candidate decides whether a visit from a particular politician/celebrity will help or hurt and goes from there. Lt. Gov. 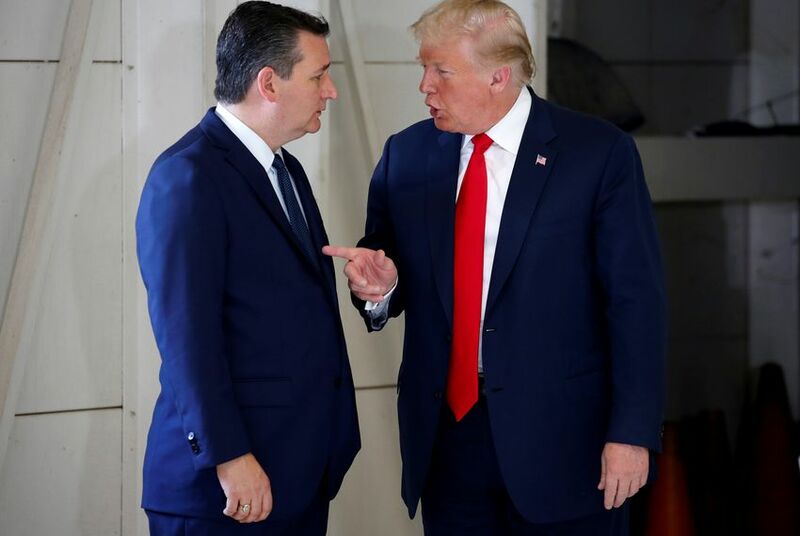 Dan Patrick, whose race is a few steps down the general election ballot from the incandescent U.S. Senate race, this summer asked the president to campaign in Texas, to help stir Republican voters who might not be taking seriously the threat to the incumbent Cruz. For his part, Cruz has made the fear of complacent voters part of his stump speech. Trump has helped Republicans elsewhere — maybe he can muster voters in Texas. So far, Trump’s not being evoked everywhere. The danger with him — and potentially with Obama, too — is that he’ll incite foes more than he’ll excite allies. The president has remained consistently well-regarded by Republican voters in Texas; in the June University of Texas/Texas Tribune Poll, 80 percent of Republican voters said they approve of the job he’s doing. But among Democratic voters, 90 percent said they don’t approve. He lights up both groups of voters, but in opposite directions. That’s a controllable effect: You invoke a well-known person if it’s good for your campaign or bad for your opponent’s campaign. If it works against you, you skip it. But October surprises are not controllable. The Kavanaugh nomination was working just fine for Republicans until it derailed last month. The initial controversy was primarily about politics, about partisans relitigating the legal issues that might go before the Supreme Court in the same way their candidates did in the 2016 presidential election. Sexual assault allegations leveled by Dr. Christine Blasey Ford against Kavanaugh — that as a teenager he assaulted her at a party in high school — and his fierce denial of that and other accusations from other women, stalled his confirmation hearings in the U.S. Senate. An FBI investigation is underway. Senate leaders have promised there will be a vote on Kavanaugh’s appointment. Partisans have taken sides, and have taken them in a way that makes it difficult to see a resolution that will make most people happy. That would be consequential on its own, without the dramatic timing. A critical few of the Senate’s votes will hinge on what those senators think their voters will do in November. And in states like Texas, where both senators voted to move the Kavanaugh nomination from committee to the full Senate, voters will be in position to register their approval or disapproval of that. Had all of this happened last spring, it might have faded as a campaign issue — whatever the Senate’s decision. Just look at all the issues that were on the front burner that have been supplanted by this one, like family separations on the border, school and church shootings and Hurricane Harvey. They are still out there, still motivating some Texas voters. But elections happen in real time. Endorsements from last June aren’t going to turn voters out like endorsements in October. And issues from last spring aren’t going to be at the tops of Texans’ minds like those at the top of the list in October. That’s why there’s a special name for them.